Click here to see one page from a homework set which follows most of the guidelines below. 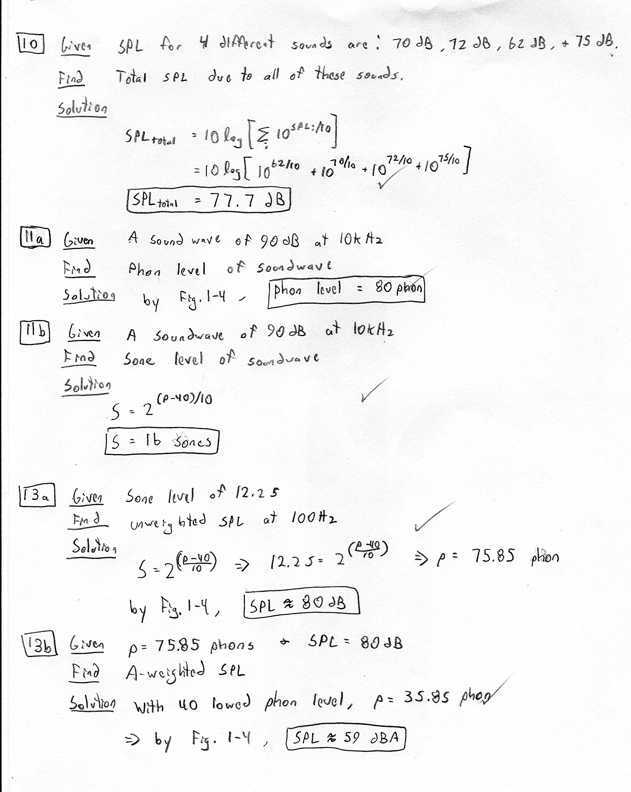 Note the neatness, the problem numbering, the one column format, the "Given, Find, and Solution" lines, the pertinent equations, and the boxed answers. Failure to follow these guidelines may result in points taken off. Use 8.5 inch by 11 inch paper, either ruled or unruled. Do not use 14" by 11" paper. Do not use paper torn from a ring binder notebook. Do not use different sizes of paper in the same assignment. Include a cover sheet with the course number, your printed name, and your signature. Include the date, the assignment number, and list the problems assigned. List the problems that you did not work. Print your name clearly. If your name is not clearly readable, no score can be recorded. Number each problem at a position on the page where the number will not be covered by the staple when you turn your paper in. Staple your work at the upper left corner of the cover sheet. Do not let the staple go through your work or a problem number. Do not fold the corner over as a replacement for a staple. If you do not have a stapler, come by my office. Your writeup should be double spaced. Number each part in the problem with the complete number, e.g. 3(a), 4(b), etc. At the beginning of each problem, or each part of a problem, draw any necessary diagrams and write a short statement of what is to be solved for. Clearly label any circuit diagrams with all pertinent voltages and currents. Work each problem and each part of a problem in order in a single column. Do not put more than one column on a page and no more than one equation or answer on a line. Do not submit out of order work. Work the problems in the order assigned and the parts of each problem in the order assigned. Out of order problems may not be graded. Separate problems by drawing a horizontal line between them. Skip at least one line between parts of the same problem. Do not submit problems with scratched out work. Use a clean sheet of paper. Problems may not be graded if they contain scratched out work. Do not continue an equation on another page unless the continuation begins with an equal sign. Clearly mark all answers, by underlining them or by putting a box around them. If you do not complete a problem or any part of a problem, write stop and underline the word at the point where you stopped. This will indicate to the grader that your work is not complete and is not continued on another line or page. A circuit diagram showing the configurations with SPICE nodes numbered. If you run a "dot-cir" file, include the input SPICE netlist you used to generate your SPICE results. Print SPICE plots using the "Landscape" printer setting. Label each curve on the SPICE plots so that it is clear what each curve represents.